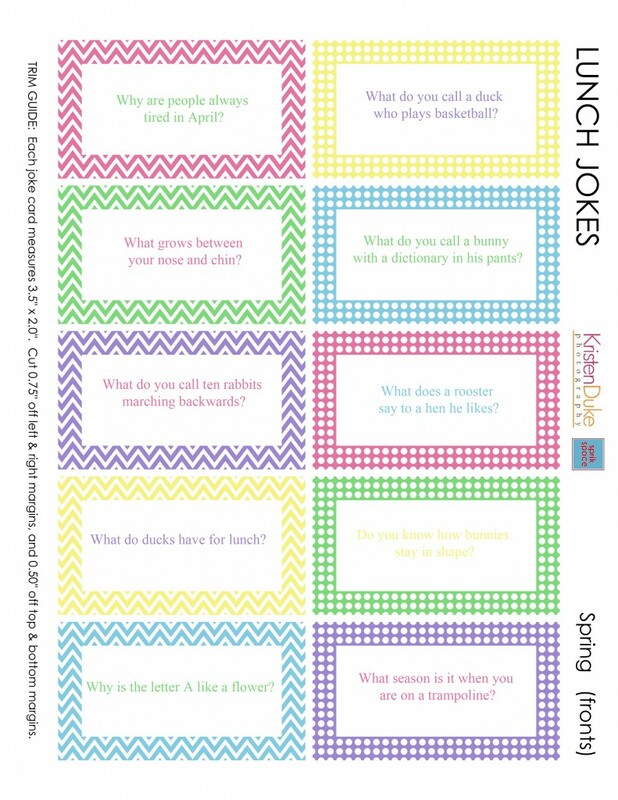 Print these Spring jokes and tuck them in school lunches, back packs, or under their pillows for some springtime fun. Spring jokes are here! 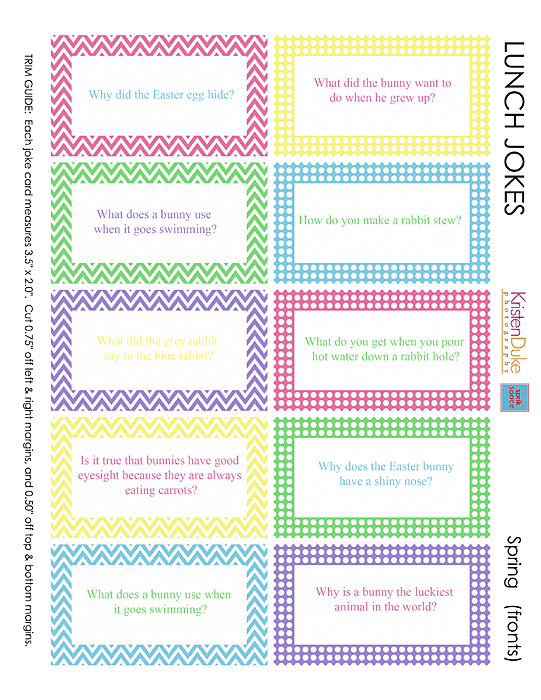 These fun Spring and Easter themed jokes are a fun tradition to share with your kids. There are two documents you can print, one set for Spring and another Easter themed set. I copy each page for my kids and them keep them in my kitchen drawer to tuck in their school lunches. All jokes are kid friendly and fun for the whole family. Add a little personalization of your own to make them extra special for your kids. There are two sets of jokes: 20 total (that’s 4 weeks to slip into kids lunches!) They are under two different downloads. Special thanks again to Aimee at Sprik Space for the designs!!! If you love lunch jokes, see some of the others I’ve shared in the past: CLICK HERE TO SEE ALL OF THEM!